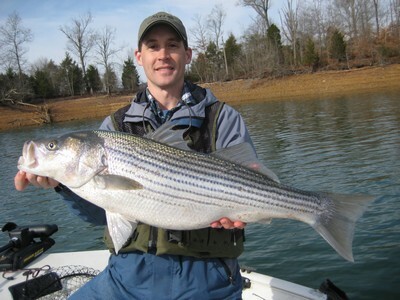 Welcome to the Tennessee Striped Bass Association, Inc. (TSBA, Inc.) Website! The TSBA Inc. is a non-profit organization that supports TWRA and its striped bass & Cherokee bass programs. We come together to provide a unified voice for the striped bass & the Cherokee bass programs in the state of Tennessee. We educate the public & share our knowledge with new striped bass anglers. We practice and teach conservation of Tennessee’s great resources and fisheries. Monthly meetings are very educational even to the most experienced anglers. If you can not attend meetings that’s OK, our newsletter, web site and videos of meetings will keep every member on his or her best game. Please join now, make new friends, and get educated on striper fishing. For only $20 a year members will receive our newsletter by mail or e-mail. Members will have full access to our web site. Attend our sponsored tournaments and annual fish fry for great fellowship and fun. These events allow members to meet have fun and share knowledge of Tennessee’s great fisheries. It began as a small local group know as the Norris Lake Striper Club in 1987, and later formed the Tennessee Striped Bass Association (TSBA) in 1995. TSBA currently has hundreds of members and remains very strong after over 25 years.